Free food sampling is one of the most convenient methods of knowing how successful your product will be once it reached the end consumer and determine its longevity an commercial viability in the market. Such a blessing in disguise it was when Foodpanda, a global online food delivery marketplace, contacted me with an exciting offer exclusive for some food bloggers. 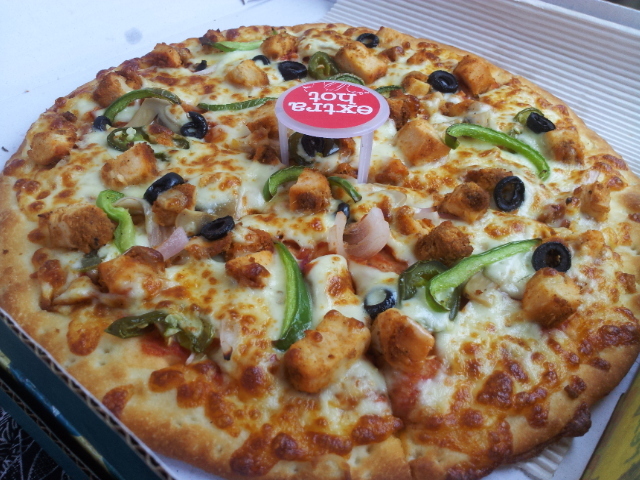 In collaboration with 14th Street Pizza, a leading local market pizza brand, they were offering free food sampling via online ordering system for the new flavours launched by the pizza brand. What more can a foodie ask for plus who says NO to pizzas? No one in the sane mind does! It is probably the only grub, one can have at any given time, hot or cold. Fresh or from yesterday. meat-sied or vege. Anything! There’s some magic in that dripping cheese on a triangle loaf that no one can resist. 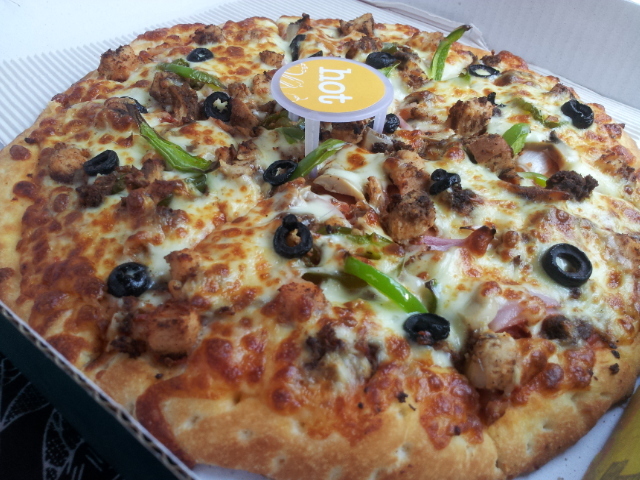 Thin crust, cheesilicious, and topped graciously with the veges of my selection, the extra hot Fiery Chicken & Hot Lemon Garlic Chicken were moist from the first to the last bite, but the trick is to of course have it as fresh as it arrives else you might have to struggle with it for a bit. Usually, 14th street pizza keeps a light hand on the spices, but this time it was really fiery! When my friends at work got to know I am getting free pizza, everyone left what they had ordered and attached the delivery and they all loved it! As per everyone’s feedback, Fiery chicken took the lead and pointed out the thin crust being light and less heavy on the stomach as the key highlighter of the product. All in all, it was a great experience, with Foodpanda’s speedy delivery and 14th Street’s delicious pizza, the experience was even better! Next Next post: 5th PAS Awards – Game Changed!